The new women’s tank top “I Fight” women’s boyfriend cut tank top in black. 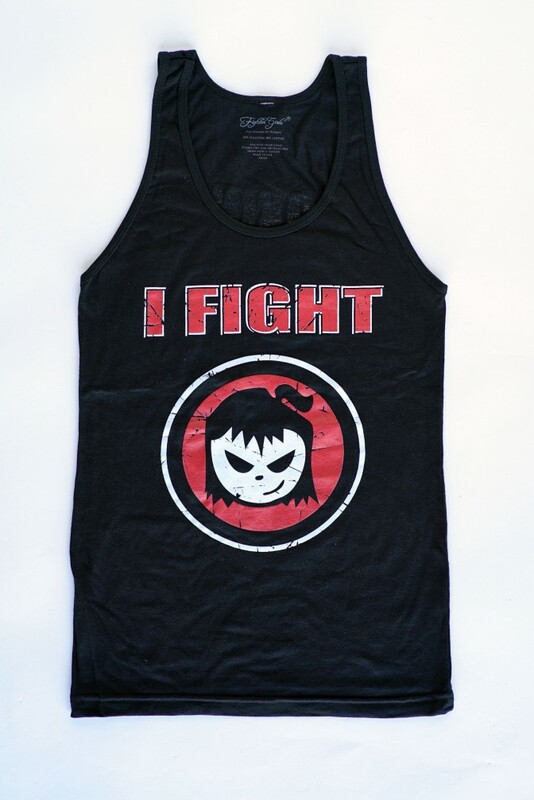 Made in super soft black cotton featuring the “I Fight” across the front with a distressed and gritty Fighter Girls face graphic highlighted with red. Long body boyfriend cut to flatter your rockin’ body whether you’re up in the gym or out and about. Sleeveless, relaxed fit for an active girl like you! Print available in hoodie and tee-shirt as well! 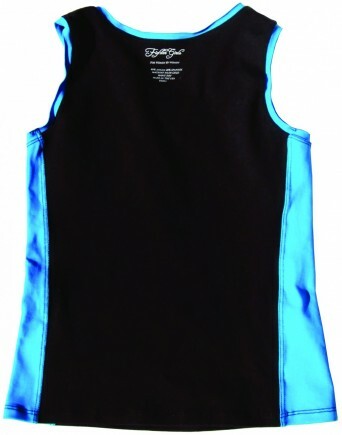 Look great in this tank top ladies at your next MMA, boxing, grappling, or body combat class in this I fight tank top made in the USA for a great quality tank top. Show the world that you are a fighter! 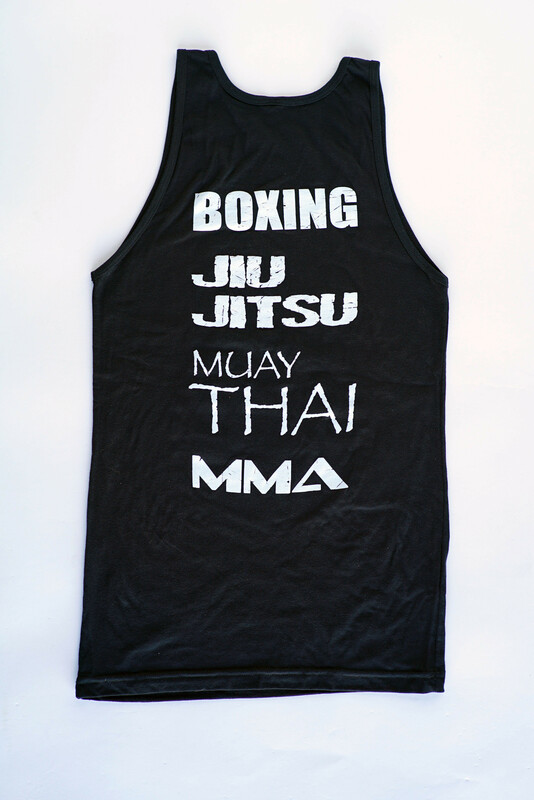 Trust me you will get a lot of compliments on your shirt.The perfect women's tank top for all martial arts. Ladies look and feel great at your next workout class! 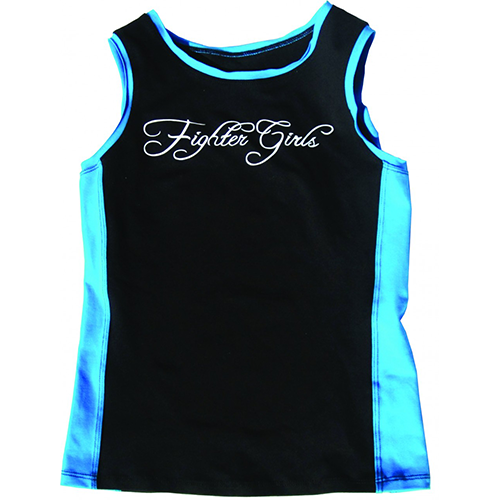 Fighter girls carries a huge selection of female fight wear and gear for women and girls! With over 400 products in their on line store shopping is easy and fun knowing that all the products are for females. Ladies you go to training to look great and for fun so why not look great in the Fighter girls brand! Made by women for women! 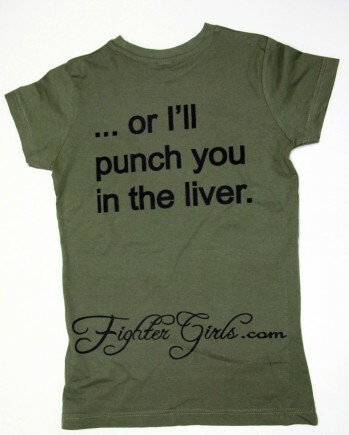 Fight like a girl at the Fighter girls store! 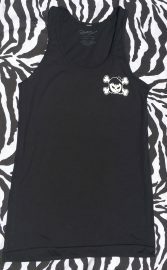 Go to your next training class ladies in this I fight tank top and look and feel tough Fighter girl tough!